It may or may not be the KOMPAN playground closest to the Equator, but it is certainly the KOMPAN playground on some of the world’s most populated land. 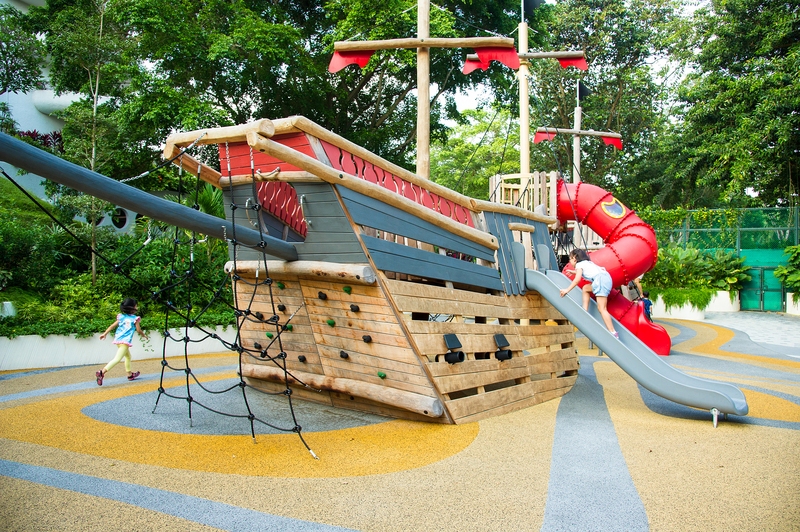 Nestled in the grounds of the luxury Shangri-La Hotel in Singapore and surrounded by lush greenery, this pirate ship feature is a magnet for travelling children and families. 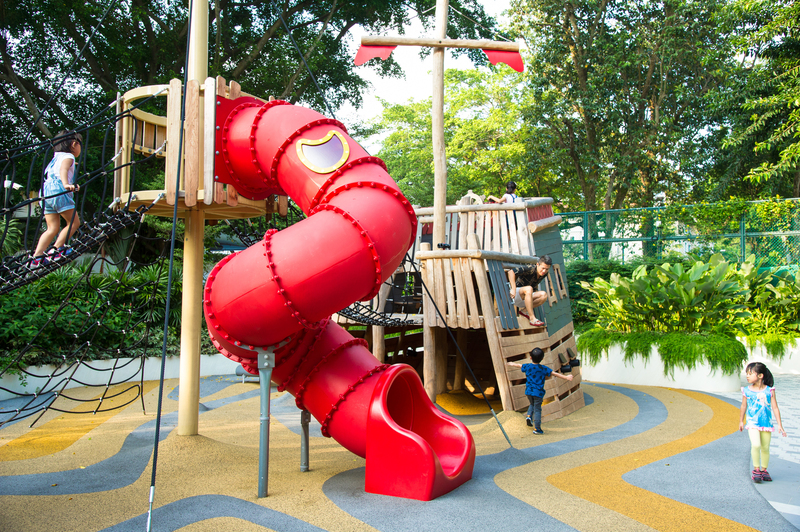 The pirate ship allows children to experience the joy of playing and burning off energy outdoors in a part of the world where space for outdoor play is limited. Parents can relax and enjoy their stay at the Shangri-La Hotel while their children play in a safe, supervised area. In Denmark and the Czech Republic where the features were designed and built, the density of the population is 134 people per square kilometer – in Singapore it is 7,804, so space, and outdoor play, are precious. The Robinia wood pirate ship, like all the ships and castles, is built from modules that allow variation in size and design. It’s not just a ship to imagine sailing away on, it can be adapted. Put a chute or a slide on it and after the experience of climbing you are suddenly back at square one, ready to start all over again. It’s like a real pirate ship – I give it five out of five.